Making a product is easy. Making a great, highly profitable and long-lasting product is a real art. There have never been so many resources online about entrepreneurship, product creation, and business in general. Guides, tutorials, courses, blogs, books; the list goes on and on. Still, with all this information out there, high-quality and high-performing products can be hard to find. More and more, it seems like products are dropping in quality and becoming more poorly constructed than they have ever been before. Why is it so difficult to make a great product? For starters, most entrepreneurs aren’t sure where and how to begin. Especially with an ocean of resources at hand, merely choosing one direction is a challenge in and of itself. Regardless of your level of experience, making a groundbreaking product is difficult. When it comes to resources, you’ve probably noticed how the majority of blueprints for success on product and brand building are focused on a particular type of business. On the other side, the ones covering general guidelines are often too general and require additional effort to fit with a specific idea. In this extensive guide, we’ll not only teach you how to make a product but also how to do so in a widely applicable way. In addition, you’ll be able to build a new brand which will elevate your business from the crowd. We can show you the pathway to a dual-value, two-birds-with-one-stone result. Everything begins with an idea. But not just any idea — an idea that motivates, inspires, and fulfills a true need. In order to make sure that your idea for a new product and a new brand can be successful, it’s necessary to first go through the process of validation. This crucial step of product making is often skipped, either because of impatience or lack of experience in entrepreneurship. Before you even start building a prototype — no matter the idea — incorporate idea validation into your strategy and the time you devote to it will be worthwhile. Whether an idea for a brand-focused product is the right one or not depends on a few factors. Remember, however, that the process of validation doesn’t fall into a neat category of typical step-by-step processes, though. Get ready to jump from one point to another, going back to the first one again often, while expanding on and linking to elements as you go. Is there a real need for this product idea on the current market? What is the ideal market for your idea? Who is the ideal audience for your product idea? How could this product improve or ease someone’s life? Which form, shape, size, format of a product could best present your idea? Could this idea serve as an extension or improvement of an already existing product? Suppose you have clear branding in mind: How does this idea correlate with that brand? Who would love this a product? Is that base large enough to make the idea profitable? If not, can you expand it? Recognize similar ideas and products on the market: Does your product idea bring a new level or a new use to potential customers? Is the idea scalable and/or sustainable? As you may have noticed, this validation process involves both critically analyzing the product idea as well as realistically considering the chosen market. It’s recommended to always look inside (brainstorming the idea, setting the vision, developing the mission) and outside (market demand, usefulness, competition, available resources) when deciding whether to pursue a product idea or not. Actually, it seems that successful product creation is a balancing act between the inner constructs and outer circumstances. Focusing on just one of the two is among the most common mistakes we’ve noticed in entrepreneurship. As an example: Going deep into market research but without thinking about sustainability, typically results in short-term success. What you want to build is a signature product that stands the test of time, right? Most new entrepreneurs seek validation for a product idea from their team, friends and family. It should be needless to point out but that’s usually how poorly performing products are created! Are there similar products on the market already? How are those products performing? Does a real demand exist? Can you notice a decline or rise in trends associated with your competition? Have you noticed fluctuations depending on temporary factors or do you perceive a steady direction? What could be done differently or better (in terms of product creation and development)? In order to bring the utmost value to a future customer, every entrepreneur must first define who that ideal user is. Starting from basic characteristics such as gender, age, and location, all the way to particular interests and preferences. What kind of a product does this imaginary (yet, so very real) person need? Could the product idea you’re planning to make fulfill that need? Defining these parameters is known as building buyer personas. Let’s say that your target audience is yoga professionals. The idea is to create a new, fully branded yoga mat, that will replace all others without a second thought. So, you head to see current market data. We’ll suppose that the demand is more or less constant, bearing in mind that more and more people are turning to this lifestyle and they all need high-quality mats. But what is the true value of such a product? How does a yogi benefit from an exercise mat? The perfect product would be the one that is comfortable, durable, non-slippery, and easily transportable. Therefore, the true value of it lies in safeness. Take one more step and imagine what kind of design could make it more fun and pleasant to use. Next, maybe you could use a material perhaps that cools down or warms up the body? Add a tiny device to it that measures body temperature, exercise intervals (timings) or something else similar. As you may notice, the secret to user-friendly products depends on your ability to empathize with the customer you’ll be serving. Always do your best to picture yourself in his or her shoes. If you were your customer, what kind of a product would you buy without any doubt? Congratulations on getting this far: You’ve brainstormed about your ideal customer persona, and have already dived deep into the beginning stages of product development. Next up, as a bonus level of idea validation (and its improvement, actually) we’ll see how to put both external and internal factors together. The goal here is not to develop a great idea, but a best-selling one! Methods are many, but one of the best ways is to look at products in your chosen niche and observe the best ones. What’s selling like hot cakes? Head to Pinterest or Instagram to check out popular ideas which draw the most attention. Then, move to Etsy (if your product fits into this marketplace’s offerings) to observe what your competition is selling and use these examples as inspiration. Could you “copy” successful practices, while adding something fresh? In case you get stuck, devote some time to reading and learning. The simplest of articles filled with product suggestions may boost your creativity again. Remember to make notes and consult with your team; do whatever’s needed to create some kind of a tangible model or even a prototype of an idea. Why is forming an idea into a physical form so important? Simply, as long as an idea is in our head, it’s fluid and could quickly be distorted. Pick a single form of the idea based on the research we’ve discussed since the beginning of this guide and work on that form, draw it, write it down, build a skeleton, create a model, etc. Make it real, then turn it into reality. The Final Validation Step: Is the Idea Realistic? Having the most brilliant idea is superb but believe us, if we had a penny for every astonishing idea that seemed nice on paper yet failed in reality, we’d be billionaires. Since looking into a magical crystal ball proved to return poor results, we suggest a slightly different approach. This process will surely involve a certain dose of prediction, but all for the sake of clarity and direction. How fast could you make this product? Do you/your company have all the materials, components and resources ready? Is there an existing product or prototype you can upgrade and turn into the desired product? What’s the size, weight and shape of your product? Do you need extra facilities to support these factors? Will you need extra staff to design, manufacture, and ship/launch the completed item(s)? How much will the making of a first batch cost and does that fit into your budget? The bottom line is, you’ll want to determine whether the production itself pays off, but first – understand if it’s manageable at all. Another balancing act is performed here, between being a visionary and staying real. Entrepreneurship is mostly based on careful balancing. Just because the majority follows this quote, doesn’t mean you should. Follow the validation blueprint we described above and you’ll have a better idea whether to pursue your product idea or not. Also, don’t forget to align the technical aspects of a product with your buyer’s interests, personality, and needs. Balance is the key, always. This is an outstanding topic to tackle: How to make a new brand. Definitely, such an endeavor isn’t an easy one. For starters, the concept of a “brand” can be tricky to understand. What is a brand, exactly? Despite the common belief, a brand is much more than a business name with a distinctive logo. Sure, both can distinguish your company from a crowd of similar businesses but ultimately, a brand itself is a wider phenomenon. Whenever and wherever people may come in touch with your company, the brand is what and how they perceive it. Starting from its appearance — meaning, the impressions that are in your control —and all the way to opinions and reviews — elements which are out of your control — the brand is your company’s image, its identity. According to the Business Dictionary, design is merely a part of a brand. Along with your business’s name, the symbols associated with it, copy and slogans, quality and satisfaction scores, design shows up as a crucial puzzle piece in overall branding. Throughout the previous section, we’ve explored that first spark of a product idea and how to validate it properly. Certainly, it’s possible to make a new brand before you even have a single product, at least to carefully plan it out. Nevertheless, creating a brand is much easier if you do have some kind of a tangible base to start from. Appearance: How should I represent my business visually? Feeling: When people encounter any of my products, how should they feel about them? Connection: What kind of value will resonate with my ideal customers? How to make them think, “This exactly what I need,”? Basically, the planning stage consists of brainstorming how you’ll create connections between the products you’ll sell and people you’ll be trying to reach. Last but not least, an initial start at developing your product creation can help you craft a clear business identity. If your product (even better if it’s your first one) carries the elements of your brand, then it’ll be easier to later expand your influence and image. Therefore, focus on the main qualities you wish people to recognize whenever the name of your business appears. Think of every product as a messenger whose purpose is to bring users closer to your brand. Some of our favorite exercises are to imagine a business brand as a personal brand. In the end, both are serving the same goal. You see, each and every person (you included) actually has a brand of their own. Personal branding is not only reserved for influencers! While you’re in a room, but also when you’re not, people are making certain impressions about you. Accordingly, you perceive others in a particular way, too. Every person has a name, unique face, style and overall appearance, distinctive movements and gestures, an original way of communicating, etc. How other people see us and what they’re thinking about us is our brand. Now, what kind of a business would you love to present to the world? Just like human beings, companies have names. Furthermore, each product, font, color, word, sound and message contributes to branding. Right now, your goal should be to define and then, connect all of those components into one high-impact parcel. Keep in mind, though, that building a new brand takes time and consistency. So as soon as you establish the fundamental features, stay stubborn in sticking with them as your business evolves. Simply, what feeling do you wish to evoke in your ideal customer? Bear in mind that the exact order of these steps is interchangeable; perhaps you’ve already defined some (or even, all) of these branding factors? Nonetheless, slight changes will happen naturally as your company expands, but try your best to follow through and use the same brand elements for consistency’s sake. Since you’ve learned a lot about this step in beginning pages of this guide, we’ll just run through basic points here. But since this topic is highly exciting, we’re adding more tips to boost your success. A deep understanding of your market, as well as figuring out where the largest benefit and value of your product lies, is certainly worth revisiting. By reminding yourself about those pillars of your business, you avoid the risk of drifting away from the most important elements of your brand. If possible, chat with someone from your ideal audience about the products they use and like, what attracted them to those products (usually, this has something to do with branding), why they chose that brand over the other, etc. A small trick we recommend is to narrow down your target market. Just like searching for “low hanging fruit” terms or keywords, you can look for potential customers who would definitely buy what you’re offering. If you can think of such a category of people, don’t be afraid to focus on them. Why wouldn’t you create a brand that resonates with your ideal customers? Another tip from branding masters is to figure out how your future customers talk about their current favorite products. Which phrases do they use? Perhaps you could use the same or similar ones in your copy. When it comes to your company’s logo and slogan, consider also resembling the style, language, slang and emotions in a familiar way to your desired audience. Handle these elements well and your brand will grab customers’ undivided attention! Your branding can be as beautiful as a diamond, but if it doesn’t represent the main benefit or value of your product and business, then all this work is in vain. Essentially, the change, help, simplification, and ease one’s business brings into someone’s life is the core of lucrative entrepreneurship. Especially if you’re a beginning entrepreneur, don’t try to fulfill everyone’s shopping needs: Being everything for everyone soon becomes being nothing for no one. With that said, as you’re creating a fresh brand, stay laser-focused on the main solution you’re bringing to the table. Especially if you’re a beginning entrepreneur, don’t try to fulfill everyone’s shopping needs: Being everything for everyone soon becomes being nothing for no one. A neat method to define the base value of a new product and brand is to form a positioning statement. 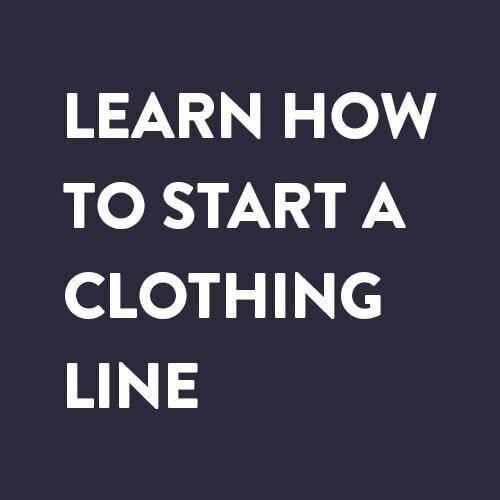 This step will immensely help you out because it brings clarity into the entire branding process. In simpler terms, explain your market claim in a sentence or two: What issue or challenge is your product solving? What makes it different? Whom can it serve the best? There you go – in this unique statement, we covered the central message and purpose of a product. Make that message an integral part of your brand! The several levels of branding we explained should all lead to the heart of your work, which is its differentiating value. Even better, if a humanitarian cause or similar mission is a part of your entrepreneurial vision, go ahead and incorporate that information into your branding. Social entrepreneurship should definitely place their good intentions under the spotlight. Both persons and businesses have a brand and just like people, companies have unique personalities, too. The personality of a business is usually defined by words. Regardless of where those words are located — starting from a name, all across the copy and up to the fine print — they’re telling a story to your potential customers. Therefore, another crucial aspect of branding is indeed the personality your company is expressing. We know that a brand relies on impressions, thus the careful choice of words can significantly alter an overall impression. The interesting game of imagining your company as a person brings us closer to what kind of personality we wish to present. Try to picture the main characteristics and qualities that would attract your ideal buyer. Which personality traits are relatable to your customer persona? As a part of a branding strategy, personality will also shape the tone of voice you’ll use on social media. For starters, both visuals — as well as textual content — should reflect the main traits. But, how do you properly develop a personality for your particular business? Any adjective can be used but be careful not to use too many. The image of your chosen personality might easily dissolve if there are more than five traits involved. Next, when you’ve defined the basic personality traits, think of concepts that could nicely describe your growing enterprise. How does the concept differ from personality traits? A concept gathers separate characteristics or traits into one object or symbol – or anything that is instantly relatable to your buyer. Feel free to take an opposite direction and first pick a concept, then list its traits. Both ways will move you into the same direction – toward your perfectly effective brand. Plus, the concept you pick could be later used for a logo or as a design parameter. Further on, we’ll explain in detail how to make a great logo and an eye-catching design to level up your branding. A name is probably the first element of your brand the audience will notice. Still, there are no rules when it comes to its importance. For some types of businesses, the name matters a lot, and for others it really doesn’t say much. Everything we’ve taught you up to this point may or may not contribute to the right choice of a name, because a brand is a far more complex apparatus. Actually, if we could separate the name from a brand, it could hardly inform a stranger about a company’s core features. In theory, by taking design, personality, and actions out while leaving the name, we wouldn’t be able to attract desired customers. However, entrepreneurship often begins with the naming challenge. Regardless of the fact that a name alone doesn’t communicate everything about a brand as fully as possible, this decision carries a certain weight. We could freely say that branding begins with the choice of a name, and then it’s followed by the long line of steps and procedures which we will cover in this guide. There are pros and cons to both options. As mentioned, the first one elevates you from the crowd. The second one works nicely if you plan to broaden the scope of your offering in the future but aim to keep everything under the same name. Every business nowadays must have a website, so before you make a final decision on the name itself, be sure to check its availability. Search through domain name generators and don’t forget to explore the wide range of creative extensions such as .shop, .place, .blog, and more. Once you’ve decided on a brand name or have a couple of options that you like, before you register it, we’d suggest that you test it first with people you trust. Sometimes, we get caught up in the search itself, and an honest, objective opinion usually points to the right solution. The topic of creating a slogan is less complex since this element can be changed rather quickly. Furthermore, consequences are fewer if you change a slogan than the ones of a business name change. Certainly, a name can be altered or replaced, but such a decision includes the correction of your domain, registry, social media accounts, and so on. As a matter of fact, most companies change their slogans once in a while, following their own evolution and new insights. When you’re in the process of creating a slogan you’ll be proud to say out loud, begin with the value statement we previously explored together. Focus on the benefit itself and try to make it as short as possible. Just a couple of harmoniously assembled words with direct meaning work the best when it comes to impressive, catchy company slogans. One might think that branding relies on visuals and that would be partially true. In all honesty, the brand elements you’ve learned about so far (ideal customer personas, core value, personality, name and slogans) are like a foundation to build your visual expression on. Everything we’ve discussed so far, the wide and deep discovery of basic branding, will logically connect with colors, fonts, shapes and other eye-pleasing components. So, let’s see how you could further point out and properly showcase the core branding elements you’ve studied on previous pages. It all starts with a name. During the first brainstorming session on the topic of visuals, plan out the look of your company’s website, but don’t forget about the general appearance as well. If you need professional help getting your website to look how you envision, check out the service Carson to get easy access to professional website developers for an accessible price. A fact which brings relief is that these two branding elements — colors and fonts — can also be changed rather simply. As you grow your business and polish its messaging, you’d be able to implement various visual modifications. Without any doubt, branding is an astonishing combination of segments which all focus on one goal – to intrigue, attract and engage your ideal customers. Completely intentionally, we left one of the most interesting branding elements for the end of this branding blueprint. Usually, a company logo is directly associated with the term “brand.” Placed right beside the name, the logo stands as your company’s face, greatly influencing the observer’s impression. Just think of famous brands such as Apple, as an example. When done well, a logo becomes an undividable ingredient which shows up in your mind the moment you hear the name of a particular company. Since that outstanding logo of yours will show up consistently, devote some time to plan out its potential locations. To mention a few, it’ll be placed all across your website, as a favicon, on every social media account, marketing materials, products, legal documents, business cards, and the list goes on. Bearing this in mind, rethink whether you want solely a symbol as a logo, a textual one or a combination of the two. It’s helpful to know that logo creation is a wildly creative field. Each brand interacts with its audience on various levels, thus there are plenty of ways to visualize powerful messaging in an original symbol or designed text. Such experimentation, in order to find the right style which will show your company’s values and goals, is an incredibly fun journey. During an endeavor as exciting as logo crafting, keep the document with chosen colors and fonts (the one you’ve constructed in the previous step) up to date, for the sake of consistency. 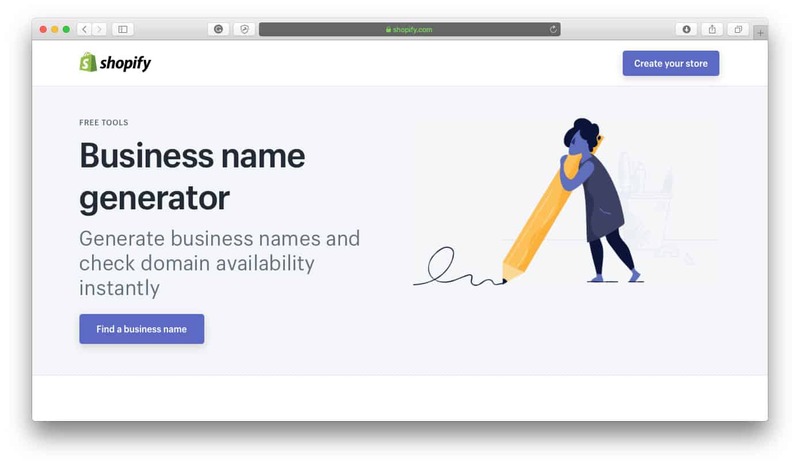 To start creating a logo for your own brand, check out the AI-powered online logo generator, Logojoy. It will instantly create a beautiful logo design for your brand that rivals the quality of work a professional designer can create but for much less of the cost. Alternatively, check out Creative Market’s logo templates for a more DIY logo creation process. The final-final step of our high-level branding blueprint is a friendly reminder. But before we hit the spotlight and set the base for a long-lasting, incredibly prosperous brand, we must commend your efforts for getting this far. Plenty of data has been presented since the beginning of this guide and plenty more useful insights are ahead! We’re slowly heading back to product creation to see how it interweaves with branding, don’t worry. Speaking of the future, once you’ve made a new brand, the process doesn’t end there. As long as your business exists, so does your brand. This is why it’s so important to stay consistent with everyday presentation, images, and interactions with your audience. Once in a while, check if branding is evenly distributed everywhere and whether each channel of communication follows the same guidelines. Remember the color scheme, based on your product, ideal customer and product’s value? Along with selected fonts, your logo, specific voice and messaging, style, themes, social media presence, customer service and entire communication, all of these elements and all associated ones carry a certain weight. All of them influence the way people feel about your business! Things truly become interesting when such a sophisticated structure begins to evolve. Growing a customer base, new products, economic shifts, unexpected collaborations and expansions – whilst these factors will inevitably influence your brand, the goal is to remain faithful to the essential ideas and values. It’s impossible to have complete control over your branding. You are able to control the largest part of a brand: Each color, symbol and word that you and your team should be intentional, and should seep into the quality of your products, your customer service, etc. As long as you’re putting your customer’s needs first, your brand will stand solid. Be patient yet flexible when changes arise. Always make sure you’re clearly communicating with everyone involved and that entire communication is aligned with your overall vision. If you start feeling like your brand is dissolving, don’t hesitate to reach out to experts and seek some help rectifying this. Back to product planning and making! But wait, didn’t we already cover the colors, fonts, types of logos and other design elements? 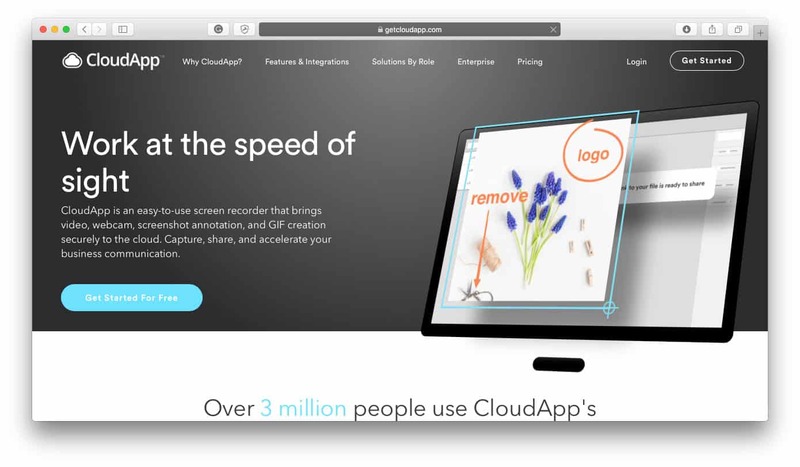 Indeed, we showed you how to use visual components inside the branding process. All of the design-based tips were the building material for your company’s brand. This is where it all comes together now: You’re going to design a product, but with your established branding in mind. This way, your product will perfectly reflect your brand and become an integral part of it. Moving on — product design is much more than making sure the product looks good. What does your ideal customer need? Where does his/her challenge lie? How could a new product solve that need or challenge? Eventually, but only after these two topics are explored, evaluated and understood, the design process moves to the actual creation of a product. This final stage is focused on usability, making a lasting, high-quality, easy-to-handle product which will most definitely work without a flaw. Each of these stages (or steps) will be explained in the following sections because only as a whole can they produce a truly outstanding product your buyers will adore. Whether a new product will be successful or not depends on a variety of both external and internal factors. In this guide, we’re deliberately focusing on the building blocks over which you have full control. A painful point which a lot of people in your target audience share among each other is something you can search for and find rather quickly. At this point, you (and your team) can come back to previous guidelines on ideal customer personas. Trust when we say: The more you know about your audience, the closer you’re going to get to a winning product that will pay off immensely. Can you name three of your biggest challenges in [area of interest]? Out of those three, which one stresses you out the most? Did you try any solutions or are there any available to you? What is your experience with them? Instead of these questions, which usually lead to nowhere because people aren’t able to picture the end benefit at this point, your main goal should be to simply discover a problem most of them share. Depending on the size of a group, any number between four and six interviews at the same time usually shows good results. In this starting round, aim to gain an overview and spot some information that might be missing. In order to dig deeper into that information, arrange follow-up conversations, even individually (if needed). And prepare yourself for unexpected answers and furthermore, challenges you wouldn’t normally guess. No amount of research from a distance can beat the power of direct, honest, open conversation between two persons. Use this to your business’ advantage. Lastly, once you’ve gained some knowledge on repeating issues, take time to check whether your competition is already solving them. Don’t get discouraged if that’s the case. The point is to collect information and observe product examples so you could create a new, better one. The second phase of product design sums up the insights from all of the interviews (or a different form of research) through sharing and discussing inside your team. Try not to skip this stage because it’s crucial for the exchange of ideas, but especially because it further develops them and accurately delegate tasks. Product design actually serves as a direct connection between your target market (people) and the company (team). A particular product built out of such close collaboration is most likely going to be a success. Over and over again, teamwork proves to be highly valuable because different people carry different knowledge and perspectives. Once those (sometimes conflicting) opinions collide, fresh ideas are free to emerge. So first, present and explain the results of your research. Briefly and clearly show observations and ideas you had after the customer and competition research. Next, as a team, start a conversation to further define a logical journey your customer could undertake. The discussion primarily serves as an information exchange. These sessions are considered a success if every participant, no matter the position or role, knows exactly what the results are from the research. If that goal is accomplished, move on the next phase. An entire team can and should contribute to the next level of discussion — figuring out the actual form and features of a future product! Plus, our favorite topic of branding appears here again. No matter the type of your product in the making (online/digital or offline/physical), each element of your brand can serve as inspiration and guiding light for dynamic brainstorming sessions. Clear branding also simplifies the planning of a product’s appearance, since the general framework already exists. That leaves your team with essentially practical — and therefore, impactful — problem-solving features. After some time, teammates should have an impressive number of ideas laid out, and that moment is perfect to bring out the results of the market and competition research which was conducted in the first stage. Remember, an intelligent product design strategy is created not from dozens of ideas, but from objectively selected ones. Remember, an intelligent product design strategy is created not from dozens of ideas, but from objectively selected ones. At the end of the solution-searching stage, select the most helpful ideas which, at the same time, fit into the current market conditions. Based on chosen ideas (just a couple of them), write out a strategy with the most important features. These are the features that are guiding us into the final design phase. Bit by bit, step by step, we’ve come to the last phase of the product design process. Once again, well done on getting this far. Entrepreneurship is hard labor and we’ve been falling through strategy rabbit holes here, so give yourself an encouraging pat on the back. The faster you create a prototype for your product, the better because you’ll have a chance to test it with the target (already interviewed) group! Before you take a resting sigh, we must remind you that the process of product design (and branding, as you know) never really ends. Even the final version of your new product, the one that gets launched, is probably not going to be the last one. The research and upgrading continues because the main goal is to serve your customers, and their needs constantly change. Life-changing, useful and helpful products are built from a crystal-clear understanding of common pain points, however, mere awareness is not enough. Every time you find yourself standing above the pile of papers filled with information and insights, that’s the right moment to connect with your team. Always discuss ideas, share what you’ve discovered and listen to unique perspectives as they freely circle between teammates. When everyone is on the same page, brainstorming runs more smoothly and, after all, better ideas see the light of the day. Finally, take a long realistic look at the best product design ideas, create a prototype and test it out as soon as possible. In our humble opinion, this last segment (real-life testing and modification based on genuine feedback) is the secret ingredient to most successful product launches. This blueprint for success is completed the last and game-changing action is added to it. Previously, you’ve learned a mountain of highly practical knowledge on idea validation, branding, and exciting product design. We took you on a written rollercoaster of tips, insights, advice, examples and guidelines. Still, one part is missing and that’s the one which makes all the difference. Truth be told, it would be a pity not to promote your brilliant, patiently built product in a proper, strategic way. Indeed, only an incredible promotional strategy can bring the success your product deserves. Let’s untangle and slowly but surely reach these ambitious goals, one by one. Combined together, they’ll provide you with a roadmap to your product and overall business success. Understanding what your target markets’ desires are is the key to promotional victories. 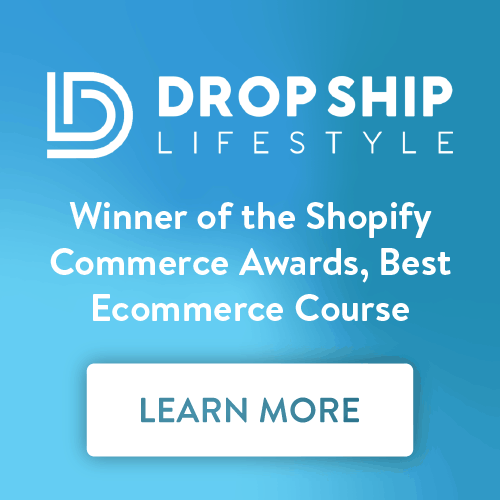 Commendably, you’ve mastered how to properly identify and communicate with your ideal customer at the very start of this guide with the essential questions we outlined such as which niche you should pursue, why it’s important to perceive market needs to find product opportunities and setting clear traits of your buyer personas. If you remember the example at the beginning of this guide, our customer persona was a stay-at-home parent wanting to build his or her own online business by taking an online business course. At that point, we didn’t go into any further detail analyzing and defining the customer’s characteristics because there was no need to rush into deep research at the start but the marketing strategy we’ve reached now requires more detailed information in order to perform well. The example from the first chapter remains the same, but we’ll level up the customer persona’s information. Where does our customer usually do his or her shopping? What type of marketing messaging would resonate with him or her? Is there a particular interest or preference we could use to differentiate our product? Does he or she speak in a certain manner? Perhaps we could use slang terms in the copy or social media posts? When is he or she usually in the mood to buy? Is it realistic that he or she would purchase mostly online or offline? As you further test and validate your product’s reach, the purchasing behavior of your ideal buyer will become clearer and clearer. The majority of entrepreneurs never truly tackle these details, so by thinking about this in the beginning stages, you’re typically one step ahead of your competition. In complete honesty, this step depends on so many factors that we’ll just explain the basics. But undeniably, choosing between various selling outlets is not an easy task. There are many options available both online and offline, and creative possibilities are appearing as we speak. The trickiest question is usually a familiar one: Where can I find my desired customer? That’s the main, if not the only, direction you should follow on your quest for the potentially profitable place to sell: No customers who need your product means no sales. The equation is as simple as it can be! The internet is a vast space, crowded with frequently visited places created specifically for selling. Worried you won’t be able to start off because you’re not a programmer? 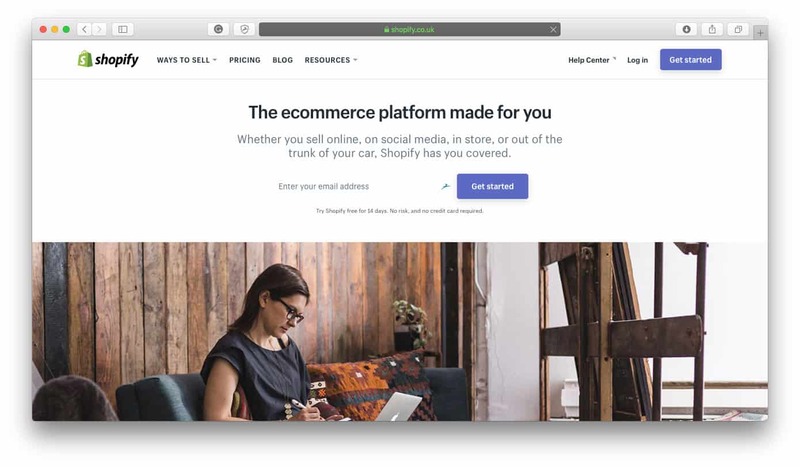 Don’t stress: Platforms like Etsy or Shopify enable their users to set up an entire fully functional online shop without any coding knowledge. Drag-and-drop solutions have become a common reality and consequently, these independent shops look as professional as some which are constructed from scratch. 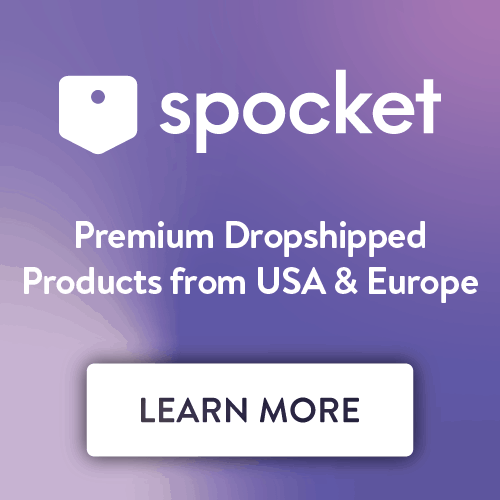 If you’re in for the big game and need more capital to launch your online shop with style, then a platform like Kickstarter might be the place for you. This and similar sites function on the principle of crowdfunding, which enables you to receive financial support and check that the interest for your product idea exists, all at the same time. Doesn’t the thought of having warm leads that pay you to build a product they’ll most likely buy sound like a fairy-tale to you? Well, it’s possible and it’s working for many entrepreneurs. 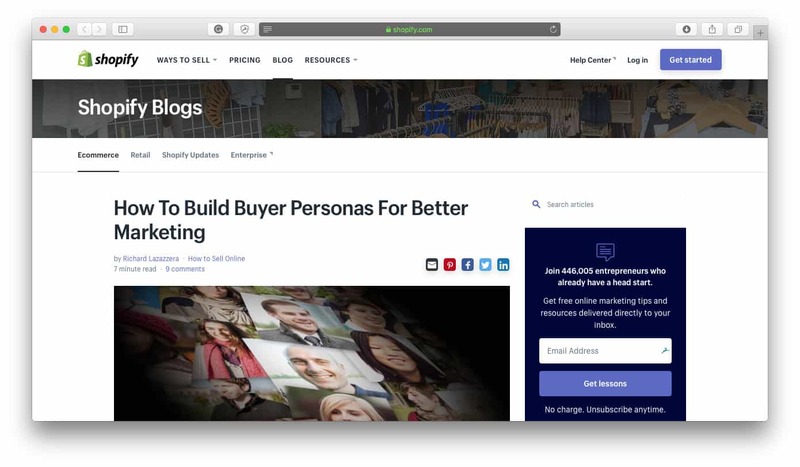 Apart from the online selling options we’ve mentioned, blogging combined with affiliate marketing and sponsorships are also ideas to consider. When it comes to social media, Pinterest and Instagram are the most influential and powerful online spaces for artisan goods. With mouth-watering photos and original, yet memorable captions, there are almost no limits on how you can market your items. Fortunately, resources on these topics are mostly free and extensive, and the best approach is to learn as much as possible. You’ve already collected rich knowledge on branding, which is incredibly useful in a digital realm. Lastly, online shopping is the future for sure, so dive in and get the best of it. Buying online is the future, but that doesn’t mean that nobody buys offline anymore. Local stores are here to stay for many more years and thus, they should be on your entrepreneurial radar. This strategy, naturally, differs from the one for purely online sellers. If you want your artisan goods to be offered in boutiques and local retail stores, then you usually need to reach out to the owner directly. The research for offline selling follows the same principles as the ones you’ve learned here: Just as you did the research on your ideal customer, similar steps apply to offline stores. Is the product offering in this store aligned to my own? Is this store visited by my ideal shoppers? How could I position my products in this store’s inventory? How will they stand out? The biggest advantage of this type of selling is that you don’t need to worry about a storefront or actual orders. On the other side, the downside is that these options are often not viable nor scalable for you as a producer. When it comes to offline selling, craft markets are ideal for artisan goods. There, you’re placed on the same spot with people who specifically came to find what you’re offering: Unique, handmade items. For these type of markets, make sure to bring everything you need, especially tables and stands, where you’ll showcase your art pieces. Branding is extremely important in these places because, if done well, your brand could attract people to contact you after the market is over. Our journey through product and brand creation ends with the most complex topic of all: Marketing. The list of resources covering the challenge of digital era promotion seems endless. Nevertheless, certain basic rules do exist and we’ll do our best to introduce you to them. With the power of marketing knowledge in your hands, there’s no place for worry. Without further ado, let us see how a newly branded product could be directed to potential buyers in the most efficient way. As previously pointed out, whatever you’re selling, make sure that your offer looks as nice as possible. A Professional look — or the lack of it — is the first thing anyone will notice. A description, besides photos and other visual components, is crucial for your buyer’s first impression. You can use the structure for value statements from this guide as an inspiration for your product description. Simply craft this element so it portrays all of the main features, values, and characteristics of your product. After you’re done with the skeleton of your product description (which focuses mainly on the technicalities of the product), try to incorporate your distinctive selling points (what makes your product stand out) and, at all times, write with your ideal shopper in mind. Apart from a top-notch description which reflects your brand in every way, you’ll also need amazing images. Never underestimate the influence of visual stimuli on people. A beautiful-looking photo can turn passive observers into loyal customers, so without a second thought, use professionally made visuals whenever possible. Regardless of the marketing channel, you decide to try out first (email, social media, blogging, traditional media, or something else) try your best to focus on one campaign at the time. There are so many different promotion methods which can distract and overwhelm you as a business owner, so our advice is to pick one form of promotion and work solely on that one at the beginning. Throughout your marketing efforts, encourage engagement with every move you make. Ask questions, post polls, start discussions, intrigue your audience, and bring a healthy dose of mystery into your marketing as well. No matter how advanced and seemingly effective a marketing strategy might be, nothing beats open communication with your target market. The insights you’ll gain through the simplest of chats with these persons will propel your business forward and set you as an authority in your field. Help people out and be there for them as a brand, that is a great rule of thumb to operate by. Similar to the previous advice, this one also relies on communication as a building block of blossoming businesses and it’s a sure way to know that people who feel valued will continue to be interested in your products. How to make people feel respected and valued? Show your gratitude. Could it be more simple than that? Especially if you’re just starting your business adventure, reach out to say thank you to everyone who buys from you. Make an additional effort: Include a surprise or a small gift. Believe us, gestures like these always pay off. Still, is there a rule as to when should you reach out to people? Actually, there is. Avoid contacting your customers during any holidays (Christmas, Thanksgiving, Valentine’s Day, etc.) since everyone is usually being bombarded with various promotions. Your message will either drown in a flood of ads and offers, without even getting opened or it will annoy that person even more. Another trick is to often re-engage with someone who already was in touch with you or was previously a customer. Once again, treating people nicely won’t come out of fashion anytime soon. Be that brand that breaks marketing cliches and stays original. The moment that someone finds out about a new company, what is the first thing he or she does? That’s correct, that person usually heads straight to that company’s social media page. We’re afraid that every business must have at least decent social following if it wants to be taken seriously. Due to this social demand, many brands spread themselves thin over all major social media channels. It should be needless to point out but that strategy brings high levels of stress and, often, poor results. Don’t hesitate to focus on a single channel instead of many different channels so you can bring your best audience to it. Further, whatever you do on social media – make it fun! People are primarily active on social platforms because they want to relax and be entertained. So be fun, attractive, memorable, funny, easily shareable, understandable, and relatable. Present your brand and company in a way that you’d like to enjoy someone’s posts. Speaking of a brand, remember to put all of those branding guidelines into use on your social activities, including the tone of your messaging. Even if you’re replying to a short comment, focus on your brand’s voice and don’t drift away from it. Strong branding is the pillar of a strong business. 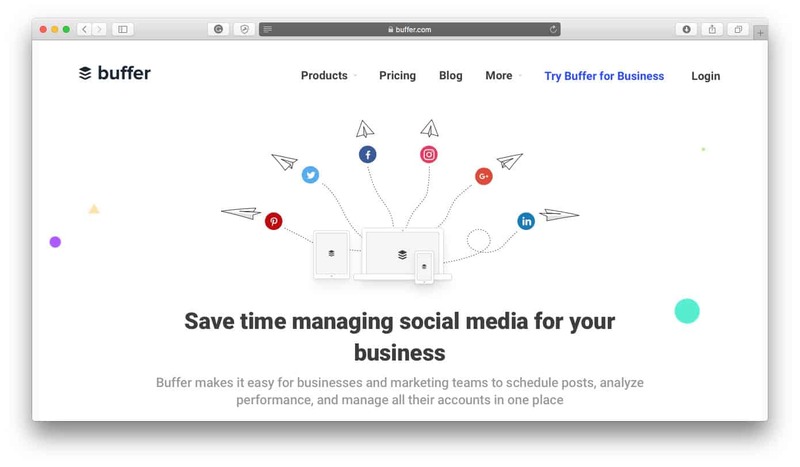 Finally, make use of automation tools like Buffer when it comes to scheduling and managing more than one social media account (some entrepreneurs even use automation hacks for a single social media account). This practical step will save you a lot of precious time, which could be used for more result-focused activities. There’s no better preparation for a long journey such as product building than a detailed resource filled with useful directions. We hope you’re now feeling ready to tackle multi-layered challenges of product and brand creation thanks to this guide! Save or bookmark this blueprint and re-read it to further absorb the information. We do, however, recommend moving into action right away because real experiences are the best teachers. Furthermore: Relax. Know that many ideas fail but that doesn’t mean you should give up. Keep on learning, experimenting, exploring, discovering, communicating, evaluating, and failing often. Each time you make a mistake and learn how to fix it, you’ll move in the direction of growth. If you ever need a guide on how to make a product, while making a new brand at the same time, come back to this blueprint for your utmost success. What are you waiting for? Start building!